Companies that excel in their industries can accurately address their weaknesses, identify beneficial opportunities, and successfully implement those solutions to stay current and maximize potential. The top reasons cited for enterprises leaning from SaaS and toward DIFM as a goal when working towards a custom software solution include the growth of efficiency experienced by their employees, the purpose-built design of your application that will cater to your specific needs, and the ability for our developers at Ayoka to communicate and quickly give feedback, updates, and enhancements by providing continuous delivery. We focus on building a comprehensive strategy coupled with incremental testing, as they are often overlooked but are imperative, to bring the best software to you. 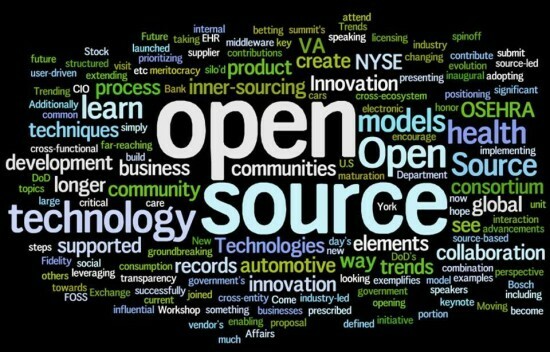 Ayoka has helped even traditional providers assess their use of open source and whether it’s embedded in their business systems, then help them segue into an optimal, customized, solution that make their businesses better! Most developers that contribute to the open-source community build software components that are optimized for flexibility, which means the code must be streamlined for speed and strength while remaining secure for use. You can reduce maintenance costs due to performance problems and ad hoc fixes that are not scalable while reducing the need to deal with security vulnerabilities and system issues that are tied to performance by utilizing open-source software, since you’re backed by updates, documentation, and support from the whole developer community. Implementation of customized reporting tools, process optimization and management, and access to our support team can also bridge the gap between you and your business goals! Your own custom software applications can be maintained as long as your company needs it, while licensed business software is susceptible to updates and discontinuation at the licensing entity’s discretion. At Ayoka, we are experienced in delivering enterprise architecture and technology services designed to help businesses from an array of industries to consolidate their seemingly disparate technologies into seamless, fully integrated systems that meet their specific business goals. The industries that stand to gain the most from custom software integration are the industries. Enterprises see the benefits of switching to a more modern application platform since the time and cost required to build, deploy, and maintain custom software solutions is less than working against out-of-the-box solutions. Ayoka’s co-sourcing application services allows your in-house IT personnel to retain oversight control of your enterprise applications while leveraging our dedicated resources. Emphasizing a tailored approach to serving our customers, Ayoka performs a range of projects from software due diligence to custom programming services. Call us today at 817-210-4042!